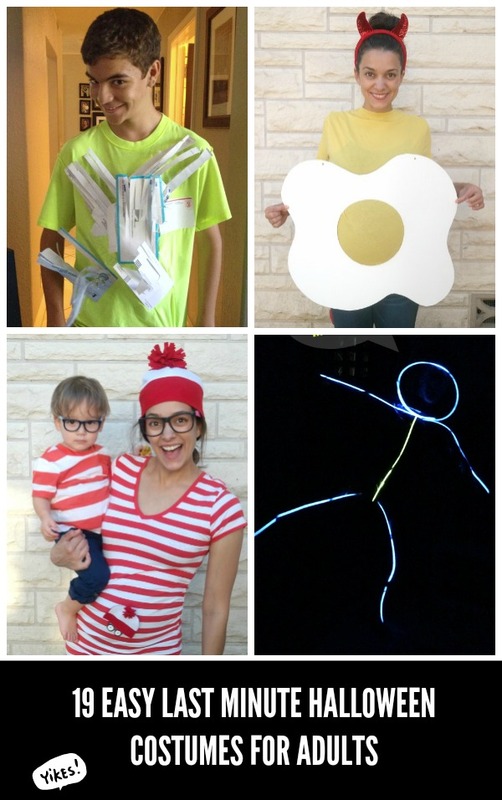 19 Easy DIY Adult Costumes - C.R.A.F.T. 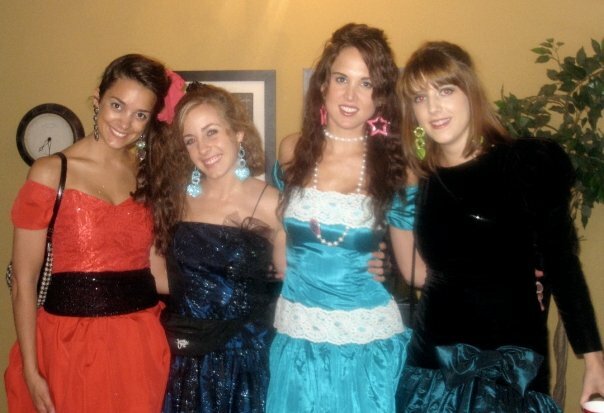 If you have no idea what to dress up as for the big Halloween party, not to worry! 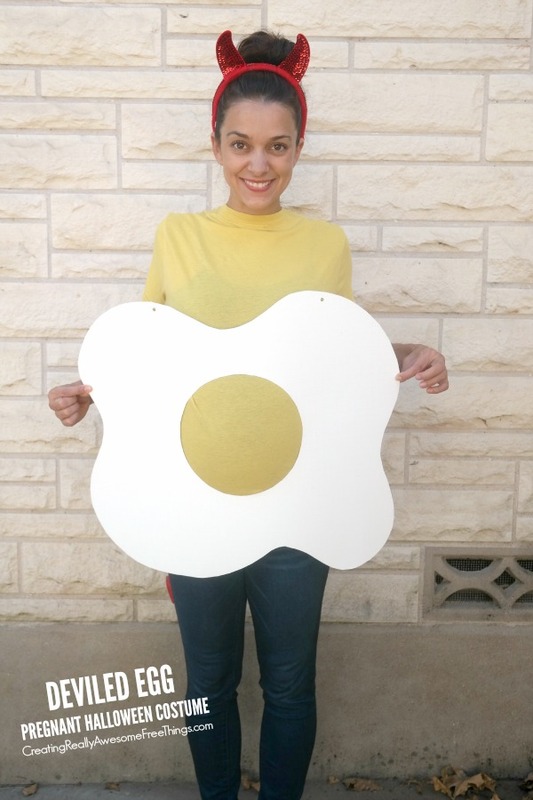 I’ve rounded up 19 easy DIY adult costumes that can be thrown together in an afternoon. The best part? 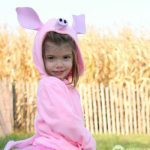 Most of these easy costume ideas can be made with simple supplies you likely have on hand or can be bought at the grocery store. Think: poster board, glow sticks, junk mail, clear packing tape, and red bandanas. 1. 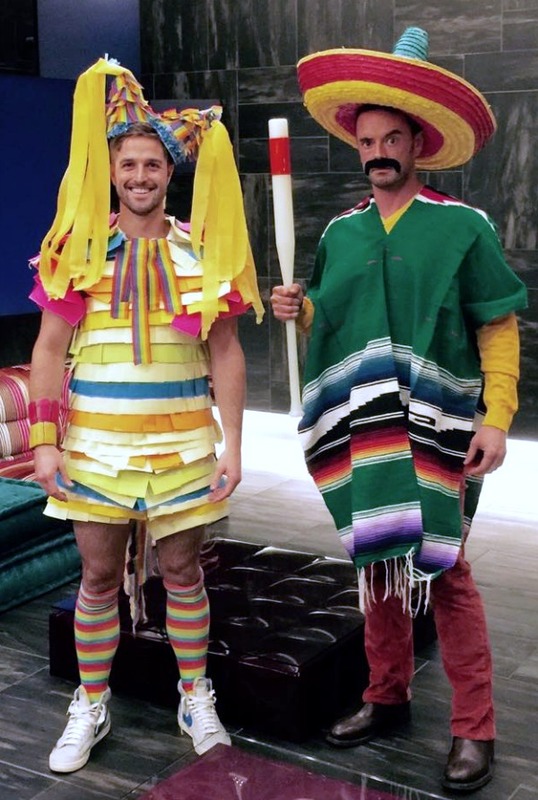 The Village People Group Costume – I know you know the song “YMCA”. Right? That’s the Village People. 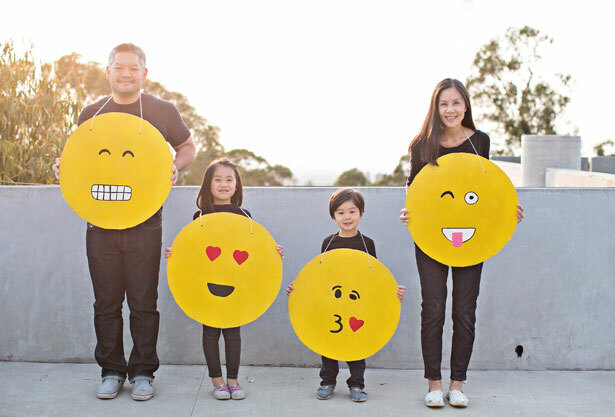 This is an easy DIY group costume idea with 6 choices of characters. Best part? You likely have most of the pieces needed for these costumes on hand. Your quick costume choices are: Construction worker, Police man, Cowboy, Army, Indian or Leather man. Side note: Mila substituted Army for Navy. 2. 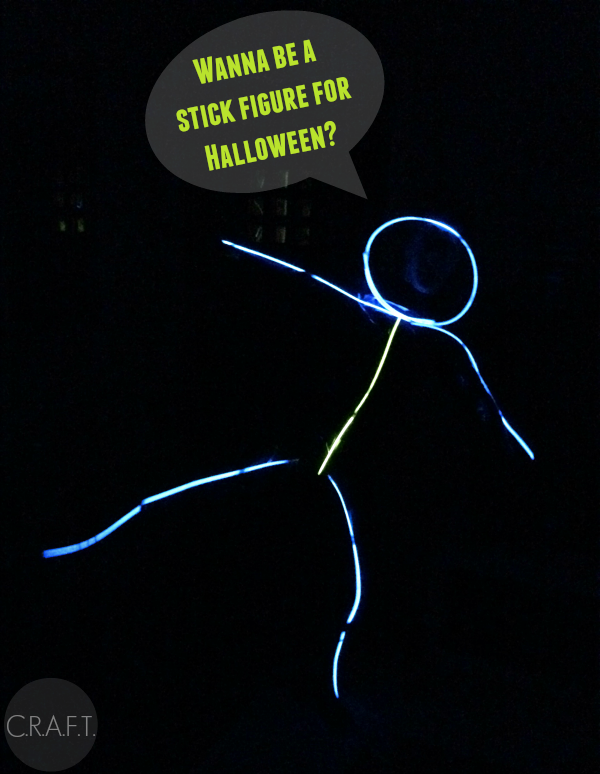 Glow stick person Costume – This is the ultimate quick costume assuming you have all of the supplies. You need: Black pants, black shirt, glow sticks, and clear packing tape. 3. 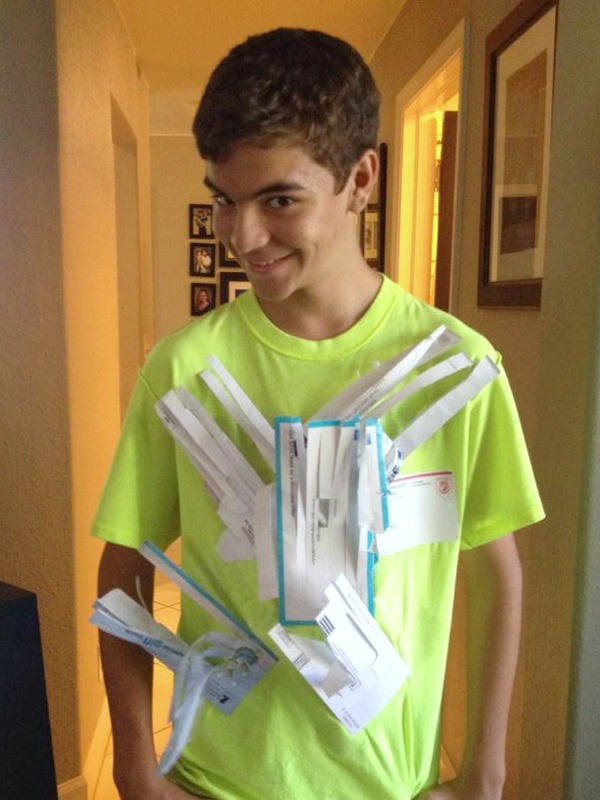 Mail Stripper – All you need for this quick costume is scissors and junk mail. Best part? 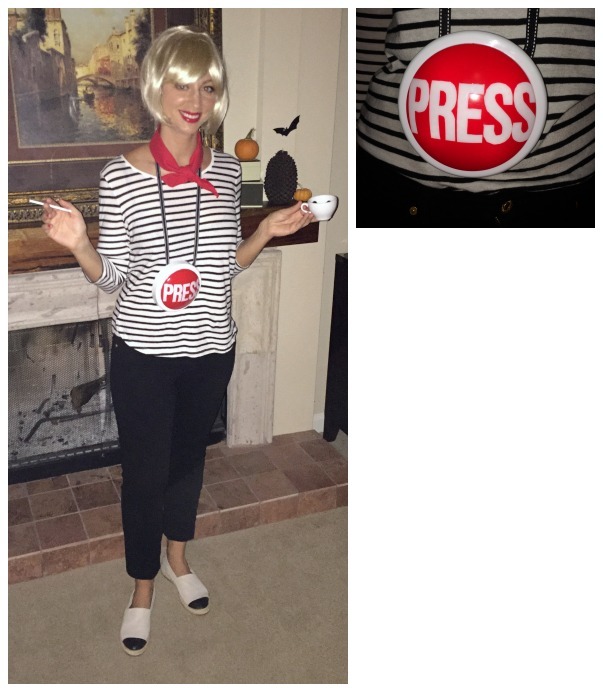 This punny costume is sure to get a good laugh. 4. 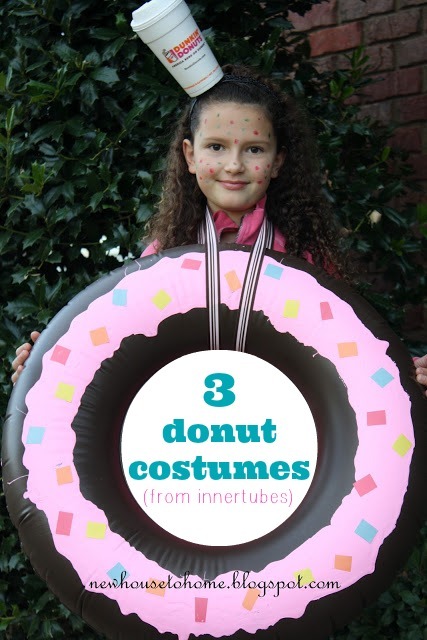 DIY Donut Costumes – This quick costume utilizes an inflatable inner tube and paint. You can either wear the tube around your neck or around your waist. The coffee cup headband is cute an added bonus! 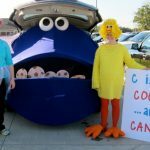 See the 2 donut costume variations at Really Awesome Costumes. 5. 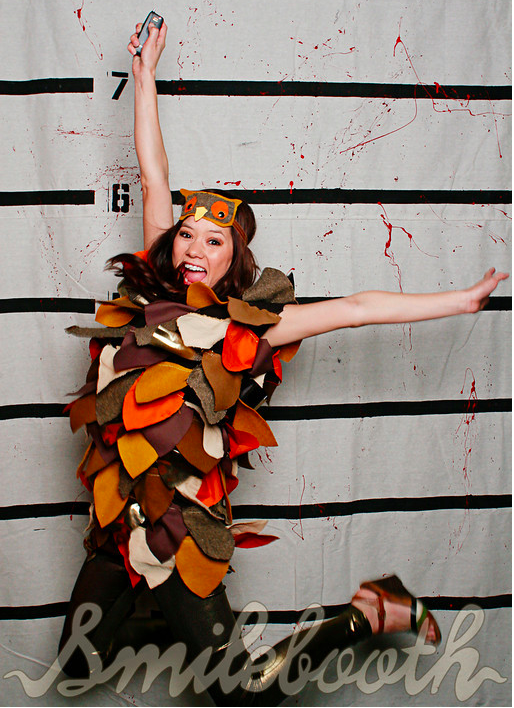 Can you believe this owl costume started as a pillow case? Simply cut three holes in the pillow case for your head and arms, then attach feathers! For more pictures and the complete tutorial check out Gold Feathers. 6. 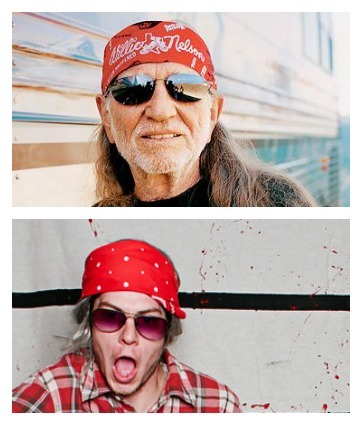 Willie Nelson: Plaid shirt, sunglasses, red bandana, and long hair a plus! 7. 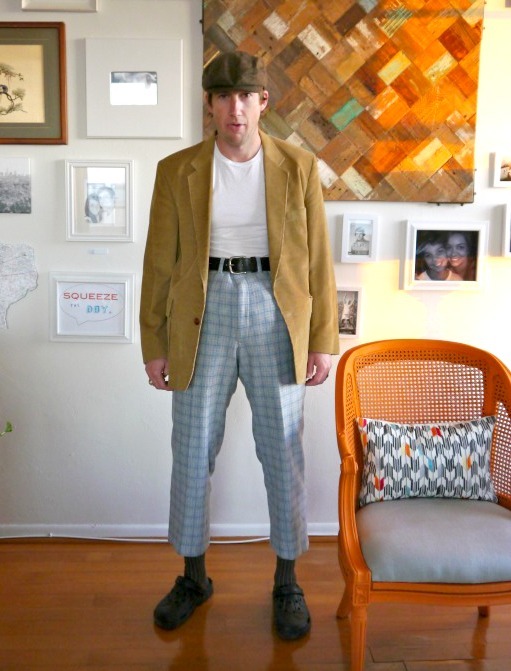 Grandpa: Plaid pants, belt, large jacket, funky hat, pipe, and a pillow to make the belly extra round. 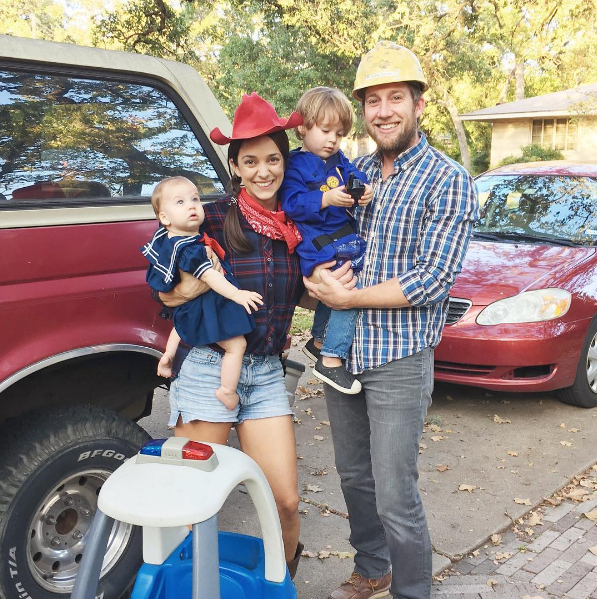 This grandpa costume could not be easier! 8. 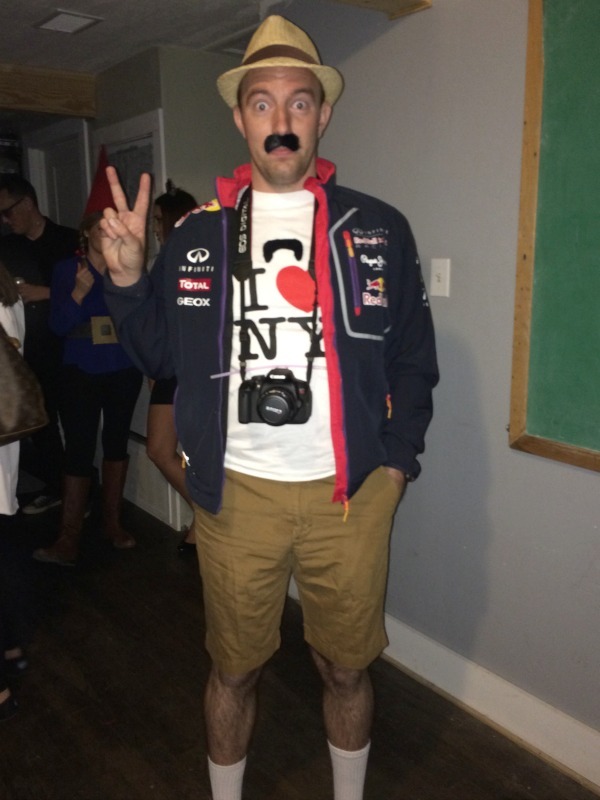 Tourist: The essentials for this costume are a location t-shirt, camera, hat, fanny pack, white socks, sneakers and a peace sign for picture taking! 9. 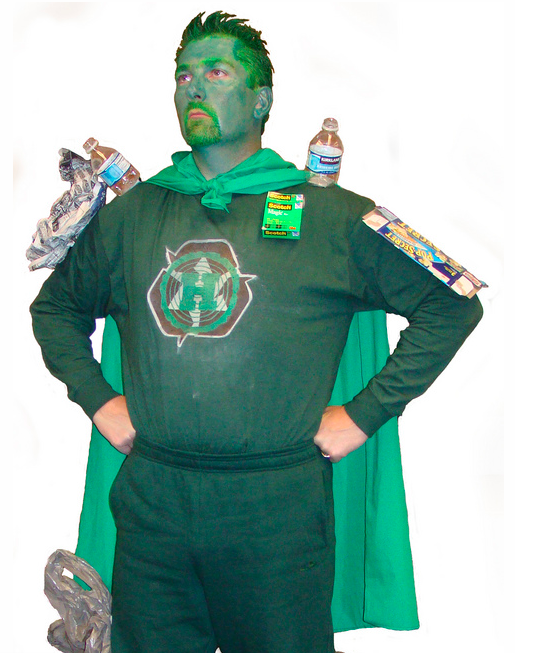 Captain Recycle: Green pants and t-shirt, recyclables, tape, safety pins, green face paint a plus. 10. It’s fun to note that Ch, ch, cha chia pets were created in 1977! 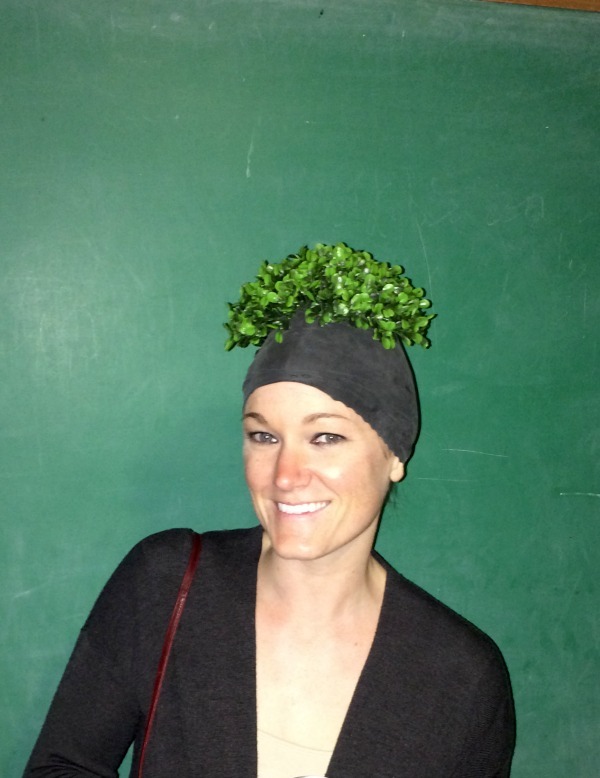 This adorable, super easy costume is as simple as buying a black shower cap and hot gluing fake greenery to the top of the hat. For more details check out C.R.A.F.T. 16. 80’s prom queens: You can find 80’s dresses at any thrift store, and crowns would be an awesome addition! 17. 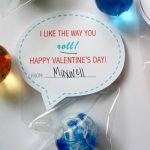 Emojis: Yellow poster board, markers, string… it doesn’t get much easier than this! 18. 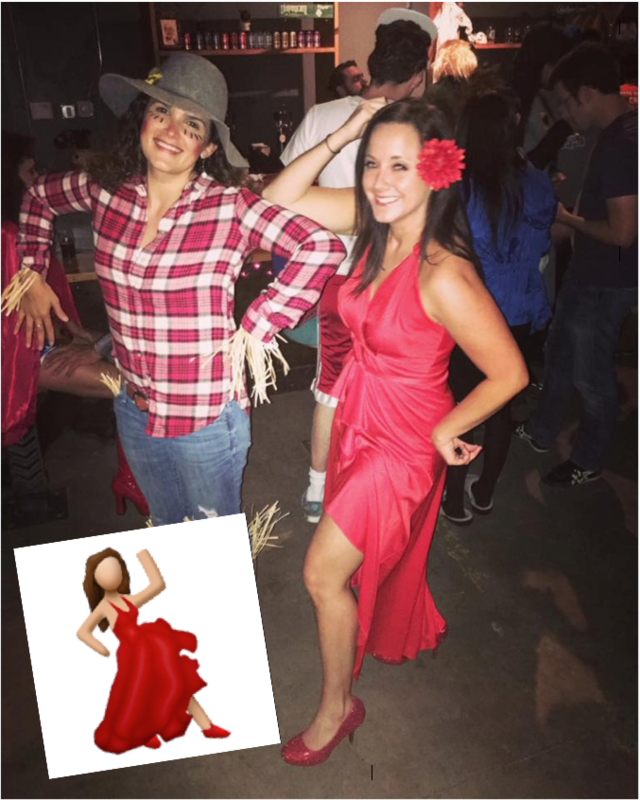 Dancing emoji girl: Red dress, red shoes, and you must strike the post as often as possible! The scare crow is a pretty cute idea too! 19. 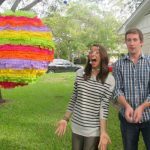 Piñata costume: Post-It’s, a pair of shorts, t-shirt, and 2 party hats. 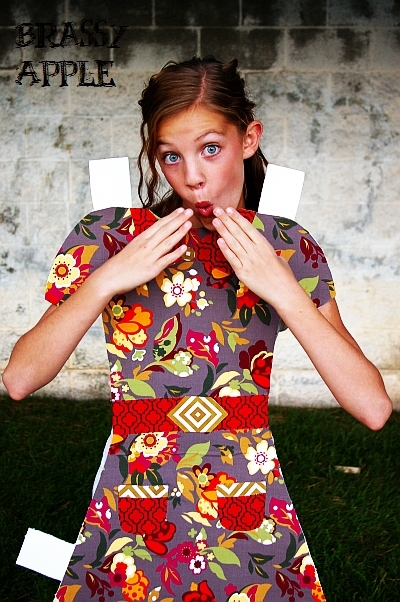 What’s your favorite handmade adult costume from the list? 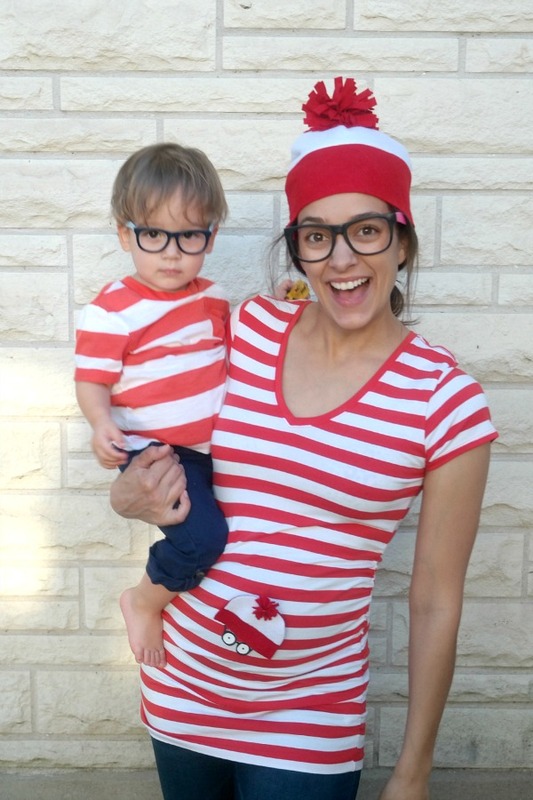 And did you decide who/what you are going to dress up as for Halloween? 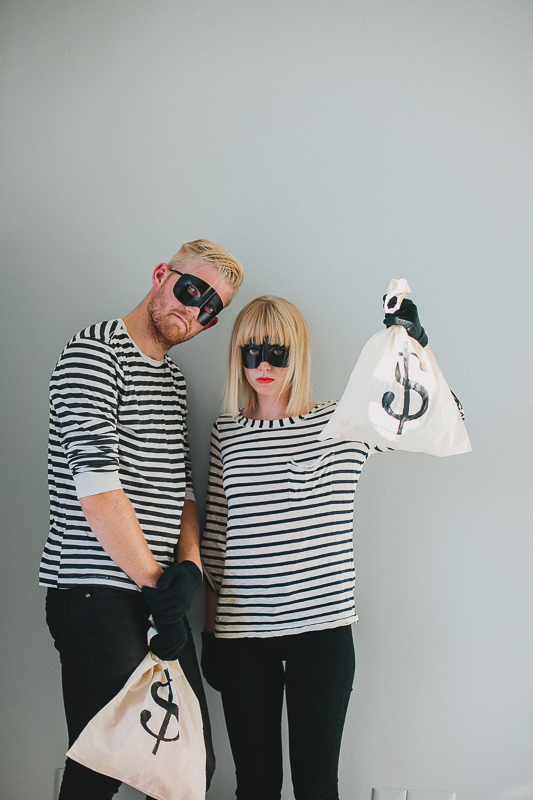 I really like your Ideas related to this Halloween ideas for Adults, i am college student, and some of my friends have asked for the Halloween Ideas for their Home Party, so i think these ideas will be really fit for them. Where are the directions for the Operation Costume?!? !